It is an essay that Unwerth discovered was written by Freud in response to a conversation with the poet Rilke, arranged by Rilke’s friend and lover, Lou Andreas-Salome. 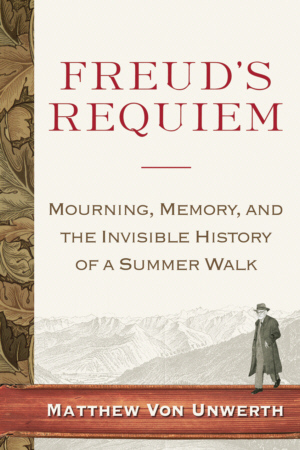 This is a first book by Matthew von Unwerth, who directs the Brill Library of the New York Psychoanalytic Institute, the largest psychoanalytic library in the country and a center of research in psychoanalysis. He is also the on-line editor of NEURO-Psychoanalysis: An Interdisciplinary Journal of Neuroscience and Psychoanalysis.